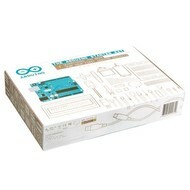 Arduino Starter Kit: With the Arduino Starter Kit you will learn the basics of Arduino in a practical way. Thanks to the 15 projects included in this kit, you will learn to control the physical world with the help of various sensors and actors. Thanks to these projects, you can familiarize yourself with the ins and outs of this Arduino kit. The projects also offer all the answers to your questions. Once you have mastered this knowledge, you have a wide range of codes and circuits to create beautiful things and to impress the people around you! Thanks to Arduino you can build, hack and share as much as you want. Arduino Basic Kit (with Arduino Board): This kit workshop base (with Arduino board) is a selection of components and components that are required for an introductory workshop to learn how to work with Arduino. 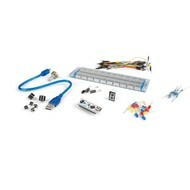 DIY Starter kit for Arduino: With this parts kit you build your own Arduino Uno. Electronic components set for Arduino: This set contains many extra electronic components to optimize your Arduino if something is lost. Basic DIY kit with Atmega2560 for Arduino: This kit contains all sensors, buzzers and much more to bring together your arduino kit and your Atmega2560. 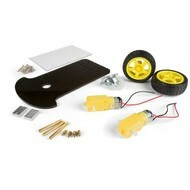 Robotics kit frame with motor and 2 wheels: With this kit it is easier than ever to build your own robot. 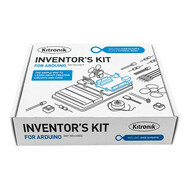 Experimenting kit for Arduino: The name says it all. 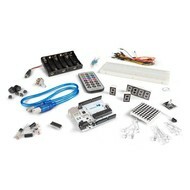 With the components from this arduino kit, you can fully experiment with your Arduino robots. 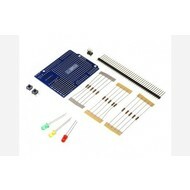 Arduino CTC Kit 101 - Modular STEAM Projects: CTC 101 is Arduino's special STEM program for high school. Students learn the basics of programming, electronics and mechanics thanks to this series of playful and extensive projects. These projects are easy to implement and instructive. 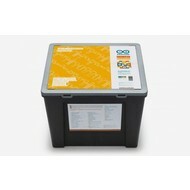 The CTC Kit 101 is made for young people from 13 to 17 years. 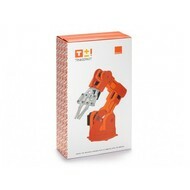 Tinker kit Braccio Robot: You can assemble your Braccio Robot in different ways thanks to its versatile design. The Braccio can also support various objects thanks to the end of its arm. 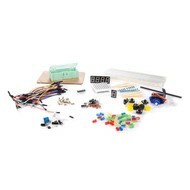 This Arduino Kit comes with a Braccio shield, allowing you to connect the servo motors directly to your Arduino board. 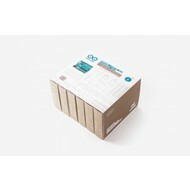 Order All Your Arduino Kits Now at RATO Education! Would you like to learn how to program in a simple and affordable way? Arduino Kits are the perfect start for all your digital adventures! Experimenting, building robots, programming. 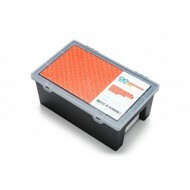 This is all possible with the Arduino Starter Kit which you can in turn extend through all the Arduino Kits we offer. Order them now because we offer free shipping from € 100 and schools only pay after delivery!